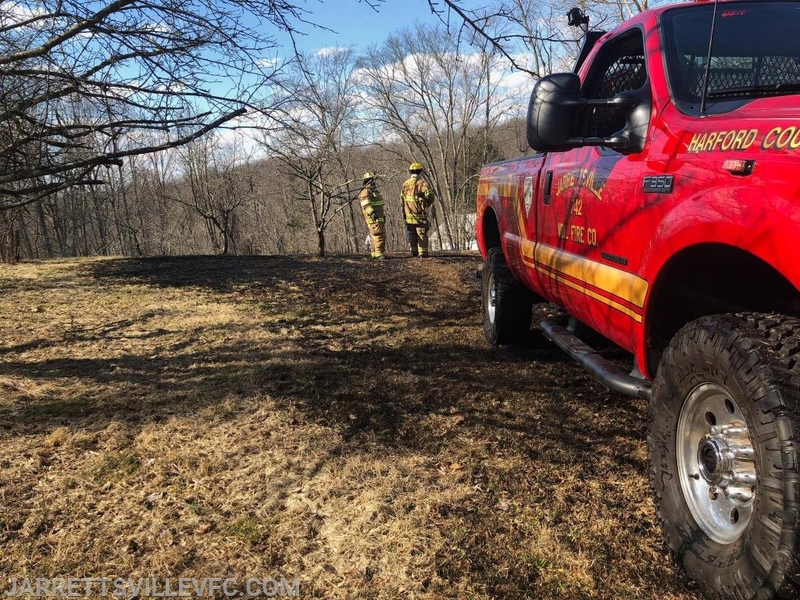 The Jarrettsville Volunteer Fire Company was alerted for a Field Fire located in the 2000 Block of Hunter Mill Road. First arriving units encountered approximately a 200' x 100' area on fire that was rapidly spreading into the wood line. 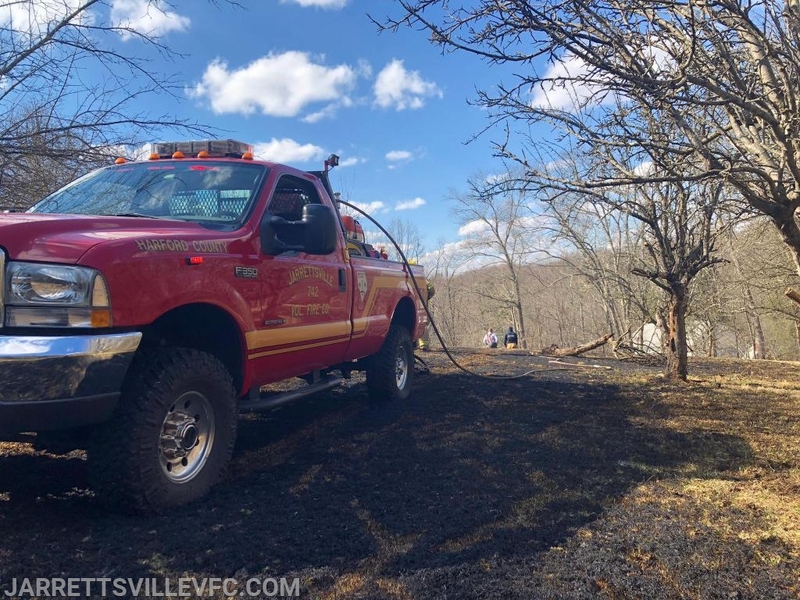 JVFC units assisted Baltimore County units with extinguishing the fire and returned to service shortly thereafter.